We have been experimenting making Gluten Free Waffles in our house for a few months now and we have pretty much perfected it to our liking. To use they taste just like the waffles I used to make that were not Gluten Free. I do believe the trick to gluten free baking or cooking is just trying to find the right mix of flours. 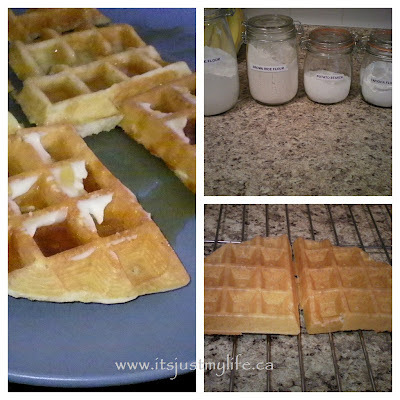 1 ~ Mix all ingredients together with a whisk, and pour into waffle iron, in batches.